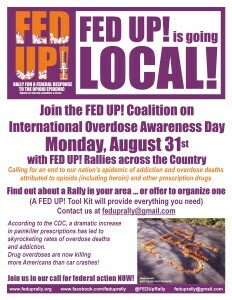 FedUp Goes Local! - FedUp! Many great rallies took place on August 31, 2015. Thank you to everyone all over the United States and Canada who participated! Here is a sample of how some of the rallies went. Key notes: Amy Cooper spoke about her sons’ death and mental health journey and not knowing he was using opiates and overdosed, Sherry McHume spoke about challenges to getting medication assisted treatment for her son, Tyler Ryder in recovery spoke about barriers to services‎, Sandra spoke about the medical community perception of providing services to an addict and stigma creating a barrier to getting needed medical care. The medical director from Harm Reduction Services spoke about the political climate surrounding getting better funding and effective treatment and then opened the mike to the audience to share. Many patient, parents and love one spoke about how thankful they were that we put on a Rally to honor those who lost their lives to addiction and overdose. There was a Narcan demonstration, Q&A, then provide training and Rx of Narcan. 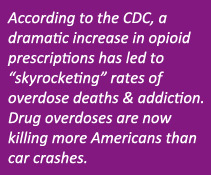 Key notes: Advocates for the Reform of Prescription Opioids (ARPO) / Fed Up! Coalition and other community agencies provided educational materials and paid tribute to those whose lives have been affected by overdose. Sponsoring Organizations: Learn to Cope, StoppNow, Steered Straight – Florida, TAM – Florida,FARR – John Lehman, Calvary Chapel – Celebrate Recovery, YPR Florida, IMF – Ian Mautner Foundation, Sober World, Drug Abuse Foundation – Delray Beach, Broward County United Way, and, Palm Beach Coalition on Substance Abuse. Key notes: Billy Pfeiffer (Crossing over Ministries) spoke at the Waterford rally. Key notes: Attendees of the Minneapolis rally were trained in Naloxone and got to take home their own Naloxone kit to potentially save a life one day.